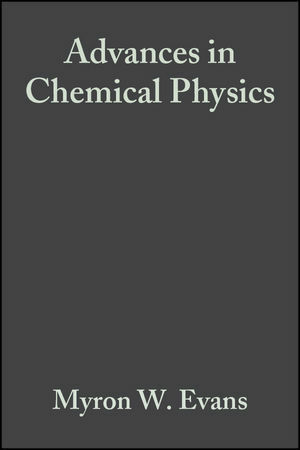 The Advances in Chemical Physics series provides the chemical physics and physical chemistry fields with a forum for critical, authoritative evaluations of advances in every area of the discipline. Filled with cutting-edge research reported in a cohesive manner not found elsewhere in the literature, each volume of the Advances in Chemical Physics series serves as the perfect supplement to any advanced graduate class devoted to the study of chemical physics. MYRON EVANS, Professor of Physics at York University, Toronto, is renowned for his work in molecular dynamics and broad band spectroscopy. STANISLAW KIELICH (deceased) was Professor of Physics and Director of the Nonlinear Optics Division of the Institute of Physics of Adam Mickiewicz University, Poznan, Poland. Hyper-Rayleigh and Hyper-Raman Rotational and Vibrational Spectroscopy (T. Bancewicz & Z. O&zdot;go). Polarization Properties of Hyper-Rayleigh and Hyper-Raman Scatterings (M. Kozierowski). Fast Molecular Reorientation in Liquid Crystals Probed by Nonlinear Optics (J. Lalanne, et al.). Nonlinear Propagation of Laser Light of Different Polarizations (G. Rivoire). Nonlinear Magneto-Optics of Magnetically Ordered Crystals (R. Zawodny). Dynamical Questions in Quantum Optics (A. Shumovsky). Quantum Resonance Fluorescence from Mutually Correlated Atoms (Z. Ficek & R. Tana&sacute;).